This dish is ready in the time it takes to cook the pasta; it comes together that fast. The flavorful sauce is creamy and delicious with just a hint of lemon and chives; nothing too overpowering. I also like to add a bit of crunch to an otherwise “soft” dish, so the walnuts are an ideal way to have it both ways. Enlist someone to make a salad and you have a complete meal in 15 minutes. Cook the pasta according to package instructions. Meanwhile, toss the garlic clove in the food processor and chop it up. Add the rest of the sauce ingredients and blend for 3 minutes, scraping the sides of the processor bowl when necessary. Transfer to a small saucepan and heat over low to medium heat, stirring occasionally until heated through. In a medium skillet, melt the vegan margarine and garlic. Add the walnuts and saute for 2-3 minutes, then add the mushrooms. Cook another couple of minutes, then remove from the heat. 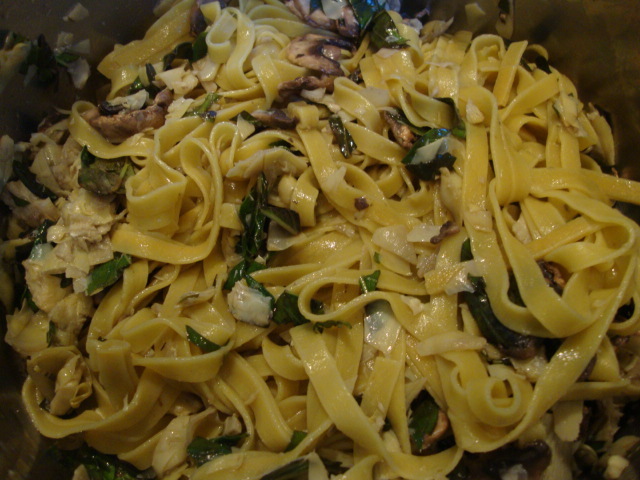 To serve, top the pasta with some of the mushroom-walnut mixture, some sauce and parsley. Enjoy! This dish is ready in the time it takes to cook the pasta; it comes together that fast. The flavorful sauce is creamy and delicious with just a hint of lemon and chives; nothing too overpowering. I also like to add a bit of crunch to an otherwise "soft" dish, so the walnuts are an ideal way to have it both ways. Enlist someone to make a salad and you have a complete meal in 15 minutes. Meanwhile, toss the garlic clove in the food processor and chop it up. Add the rest of the sauce ingredients and blend for 3 minutes, scraping the sides of the processor bowl when necessary. Transfer to a small saucepan and heat over low to medium heat, stirring occasionally until heated through. These are some hearty, no-joke waffles. You could certainly add a bit more milk to thin out the batter a little more to make a lighter, crispier waffle, but we enjoyed the muffin-like texture of the thicker ones. Either way, you won’t be disappointed with this lemony, nutty breakfast/brunch mainstay. Preheat oven to about 200 degrees and preheat waffle maker according to its instructions. In a large bowl, whisk together the flour, pecans, baking powder and salt. In a medium bowl, whisk together the almond milk, melted margarine, lemon juice and zest. Add the wet ingredients to the flour mixture and gently fold until well combined, using a rubber spatula. Spray the waffle irons with cooking spray and place about a 3/4 to 1 cup of the batter in each waffle square. (Waffle makers vary, so be sure to find out how much/little batter to use). Because these are thicker waffles, you will probably want to add a couple of minutes to the regular cooking time. (And I could have used a bit more batter). Place the finished waffles on a baking sheet, cover with foil and place in the warm oven while you cook the rest of the waffles. I got about 12 waffles out of this batter, but if you decide to thin the batter out, you’ll definitely get a few more. Top individual servings with some vegan margarine, syrup and a scoop of toasted pecans. Enjoy! These are some hearty, no-joke waffles. You could certainly add a bit more milk to thin out the batter a little more to make a lighter, crispier waffle, but we enjoyed the muffin-like texture of the thicker ones. Either way, you won't be disappointed with this lemony, nutty breakfast/brunch mainstay. Preheat oven to about 200 degrees and preheat waffle maker according to its instructions. In a large bowl, whisk together the flour, pecans, baking powder and salt. In a medium bowl, whisk together the almond milk, melted margarine, lemon juice and zest. Add the wet ingredients to the flour mixture and gently fold until well combined, using a rubber spatula. Spray the waffle irons with cooking spray and place about a ¾ to 1 cup of the batter in each waffle square. (Waffle makers vary, so be sure to find out how much/little batter to use). Because these are thicker waffles, you will probably want to add a couple of minutes to the regular cooking time. Place the finished waffles on a baking sheet, cover with foil and place in the warm oven while you cook the rest of the waffles. I got about 12 waffles out of this batter, but if you decide to thin the batter out, you'll definitely get a few more. Top individual servings with some vegan margarine, syrup and a scoop of toasted pecans. Enjoy! Wow, has it really been this long since my last post?! I guess the holidays will do that. I hope everyone had a great holiday season and so far a good 2014. 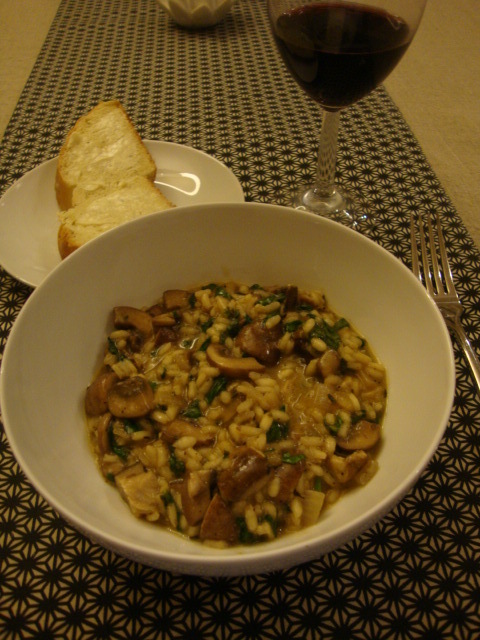 I’ve made this risotto several times now, and I swear we love it more each time. Sure, there’s a little prep work involved, as well as some constant stirring, but I promise you, it’s worth it. You can even read a book while you make this. Seriously. Have a book handy because you might as well get some reading done as you stir. (A glass of wine wouldn’t hurt either). To begin, soak the shiitake and porcini in very hot water for about 30 minutes. Once re-hydrated, drain, wash, and chop the mushrooms up small; set aside. In a medium bowl, combine the spinach, lemon juice and salt; set aside as well. In a medium saucepan, heat 1 Tbs of olive oil and add the garlic. Cook 2 minutes over medium heat, then add the onion. Saute until softened, about 10 minutes. Add the cremini, shiitake, and porcini mushrooms and cook 10-12 minutes, or until they have cooked down. Add the thyme, Arborio rice, and remaining olive oil. Combine the rice well in the pan and cook 3-4 minutes. Stir in the wine and cook 5 minutes, or until all of the liquid has been absorbed. 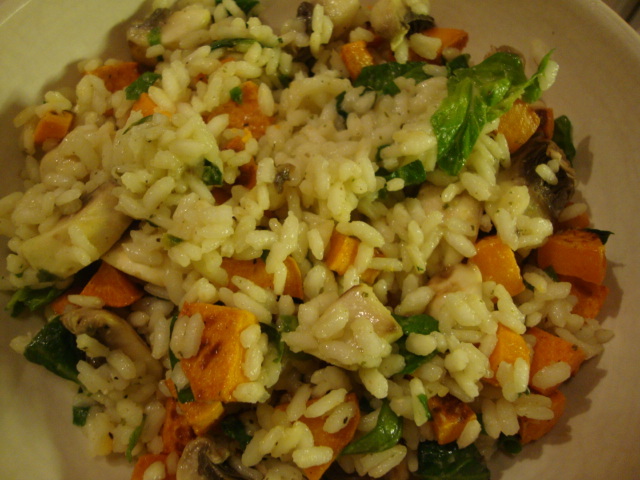 I've made this risotto several times now, and I swear we love it more each time. Sure, there's a little prep work involved, as well as some constant stirring, but I promise you, it's worth it. You can even read a book while you make this. Seriously. Have a book handy because you might as well get some reading done as you stir. (A glass of wine wouldn't hurt either). To begin, soak the shiitake and porcini in very hot water for about 30 minutes. Once re-hydrated, drain, wash, and chop the mushrooms up small; set aside. 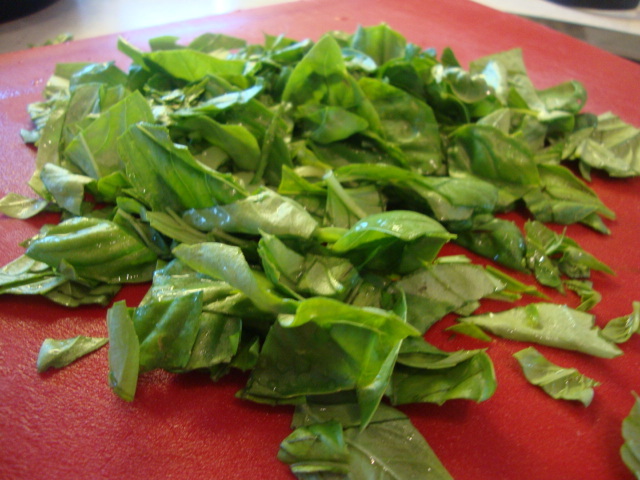 In a medium bowl, combine the spinach, lemon juice and salt; set aside as well. In a medium saucepan, heat 1 Tbs of olive oil and add the garlic. Cook 2 minutes over medium heat, then add the onion. Saute until softened, about 10 minutes. Add the cremini, shiitake, and porcini mushrooms and cook 10-12 minutes, or until they have cooked down. Add the thyme, Arborio rice, and remaining olive oil. Combine the rice well in the pan and cook 3-4 minutes. Stir in the wine and cook 5 minutes, or until all of the liquid has been absorbed. Add about ½ C of the broth and stir constantly until completely absorbed; repeat, adding only a ½ C of broth at a time. It will take about 20-30 minutes. (Good time to have a book handy). Next, stir in the spinach mixture and cook 2-3 minutes, or until the spinach has cooked down. I was going to post this recipe tomorrow, but after taking a bite, I think you might want to run out and buy the ingredients for tomorrow’s breakfast. So worthy of veganizing! You may have seen the original recipe on Pinterest . . . it’s definitely making the rounds and now I know why! The original recipe was a bit hard to follow because of the way it’s laid out—lots of really closeup pictures with some directions, then at the bottom of the post is the ingredient list and directions. It also wasn’t clear how long it was going to take to let these puppies rise, but luckily, it was only about 45 minutes. These are little pieces of glaze n’ sugar heaven; like a mini glazed doughnut! And the crunchy sugar topping?! Forgetaboutit! Frickin’ amazing and perfect for a brunch get together (that is, if you want to share)! Grease (very well) the bottom and sides of a 9×13 baking dish. Cut each roll in half . . .
. . . and place flat-side down into the pan. Drizzle with the melted butter . . . In a small bowl, combine the sugar and lemon zest. 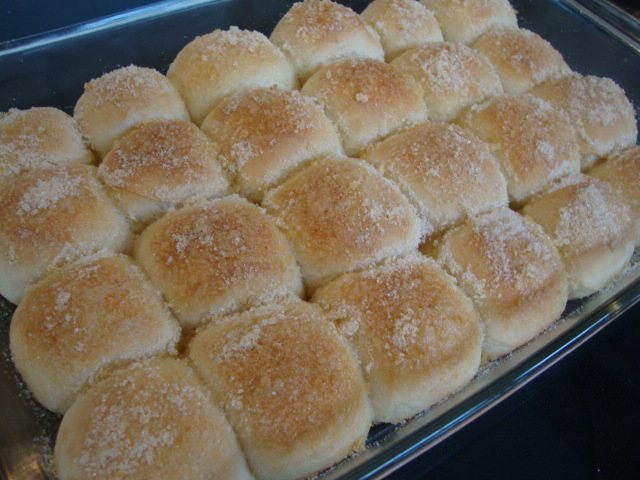 Sprinkle half of the sugar mixture on the top of the rolls. Cover and let rise for 45 minutes, or until they have doubled in size. (I turned my oven onto the lowest temp: 190. Placed the covered rolls inside and just cracked the oven door. Works beautifully)! Preheat oven to 350. Sprinkle the rest of the sugar on top. The original recipe says to bake them for 20-25 minutes, but mine were ready in about 16-17 minutes. Check often as all ovens run differently. And let me tell you, these smelled SO incredible as they baked! Remove from the pan onto a plate. 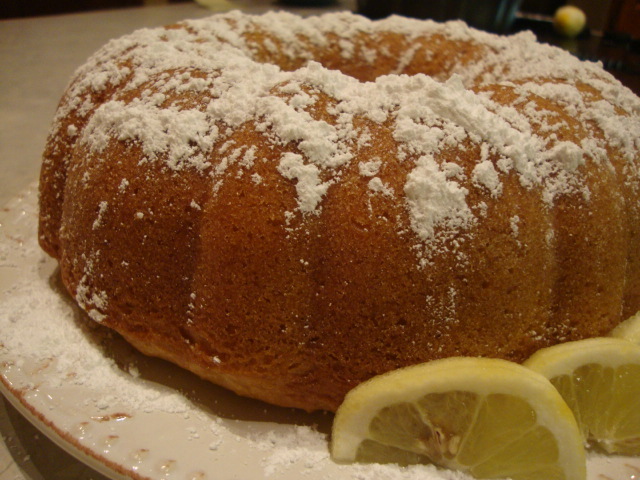 In a small bowl, combine the powdered sugar and lemon juice. Drizzle on top. Thoroughly enjoy!! 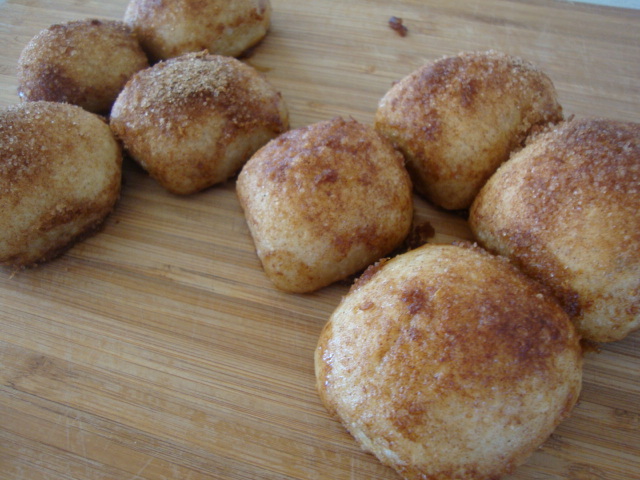 I recently made these with cinnamon and sugar . . . YUM! Prepare them the same as above, but use 1/3 C sugar (I reduced the amount from 1/2 C), 1 Tbs cinnamon, and zest from one orange. 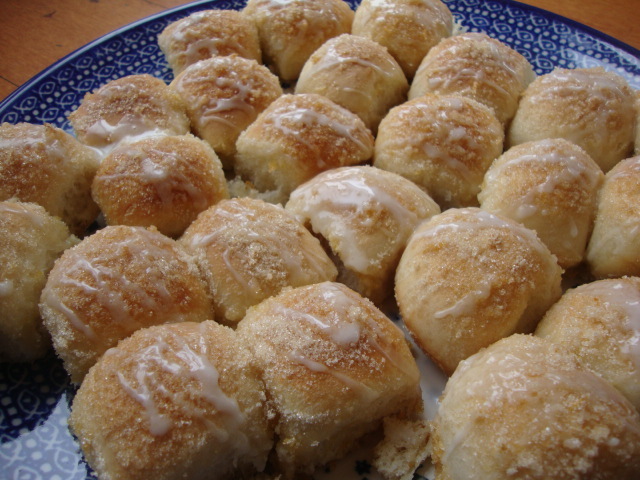 This is a quick and easy alternative to cinnamon rolls, especially if you’re short on time. Enjoy! I was going to post this recipe tomorrow, but after taking a bite, I think you might want to run out and buy the ingredients for tomorrow's breakfast. So worthy of veganizing! You may have seen the original recipe on Pinterest . . . it's definitely making the rounds and now I know why! The original recipe was a bit hard to follow because of the way it's laid out---lots of really closeup pictures with some directions, then at the bottom of the post is the ingredient list and directions. It also wasn't clear how long it was going to take to let these puppies rise, but luckily, it was only about 45 minutes. These are little pieces of glaze n' sugar heaven; like a mini glazed doughnut! And the crunchy sugar topping?! Forgetaboutit! Frickin' amazing and perfect for a brunch get together (that is, if you want to share)! Grease (very well) the bottom and sides of a 9x13 baking dish. 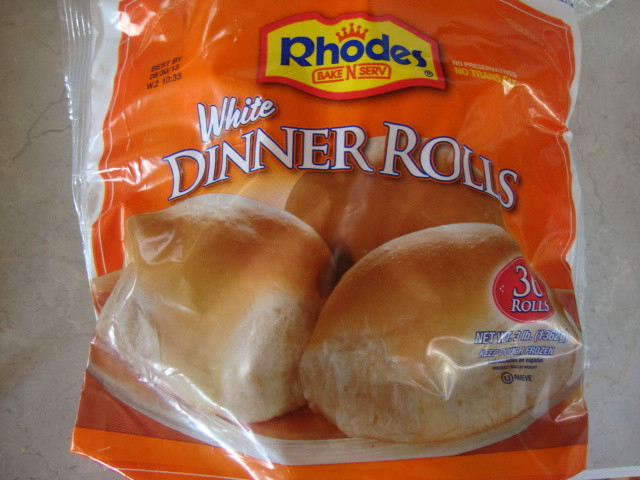 Cut each roll in half and place flat-side down into the pan. Drizzle with the melted butter. 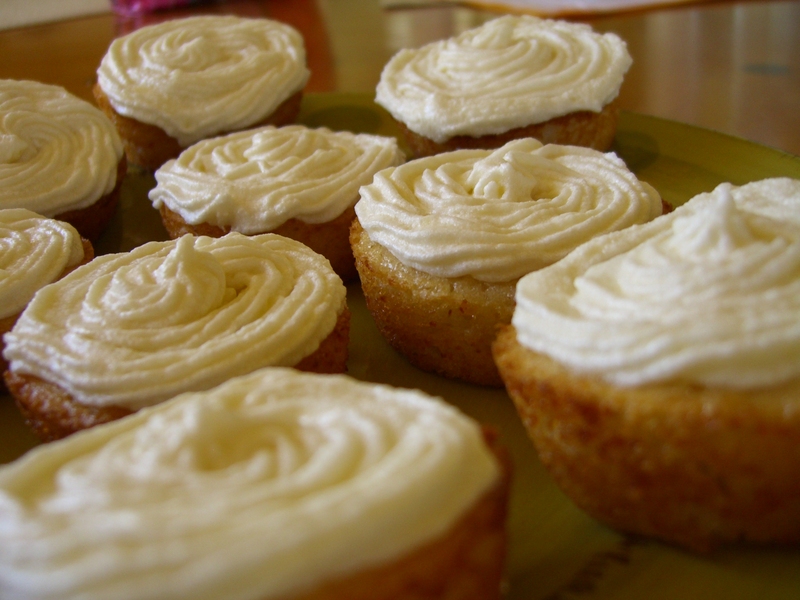 The original recipe says to bake them for 20-25 minutes, but mine were ready in about 16-17 minutes. Check often as all ovens run differently. 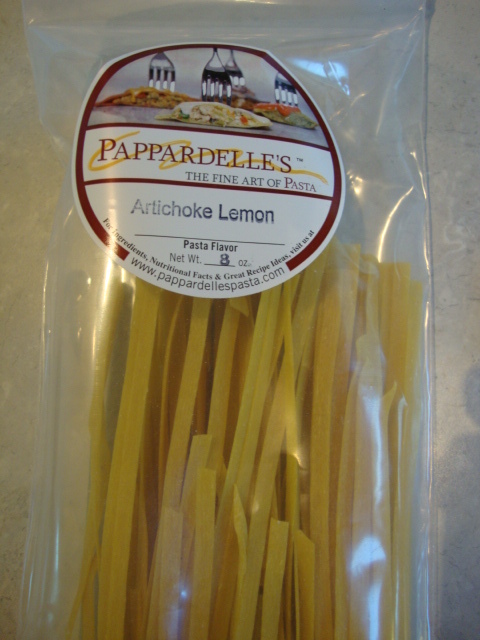 While at the farmer’s market last weekend, I picked up some Artichoke Lemon pasta. 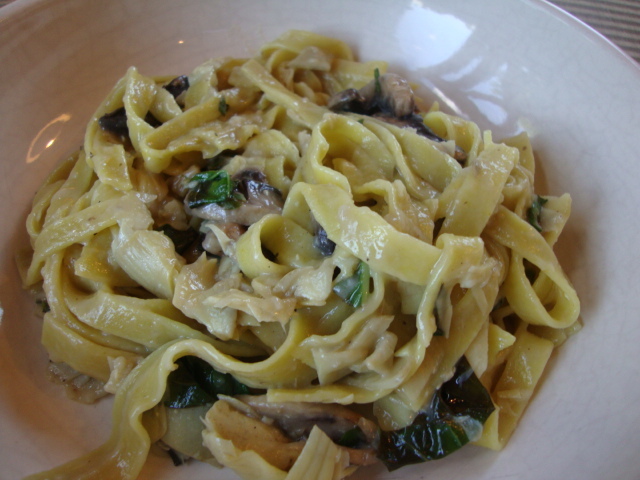 You can order it at Pappardelle’s Pasta. I threw together a dish with a light, creamy roux and some vegetables and it came out delicious—and fast too. Dinner was ready in less than 30 minutes. Keep in mind, you’ll have three different pots/pans going at the same time, but don’t be alarmed, it’s easy to make, especially if you have all of your ingredients chopped, sliced, and ready to go before hand. In a small skillet, heat the olive oil and garlic. 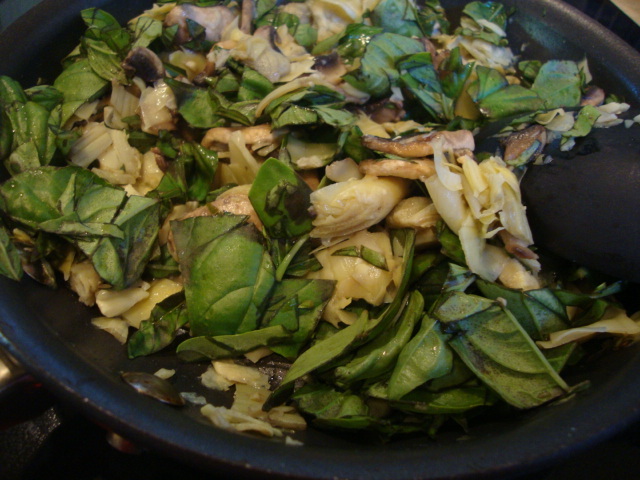 Add the artichokes and cook for 8 minutes, stirring often. Meanwhile, cook the pasta for 5-7 minutes. I have found that this pasta tends to cook faster than commercial brands, so keep an eye on it. 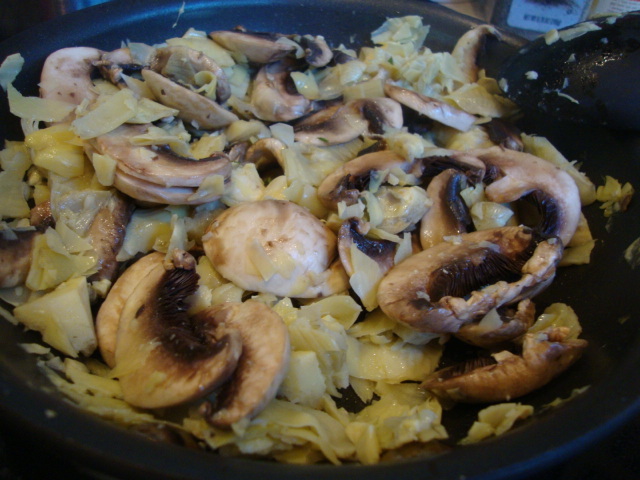 Add the mushrooms to the skillet and cook another 5 minutes. While this is happening, get your roux going. Melt the vegan margarine in a small saucepan. Whisk in the flour and cook for a minute. Slowly pour in the almond milk and whisk it until smooth. It will thicken up pretty quickly. Add the lemon juice, salt, pepper, and nutmeg and blend well. 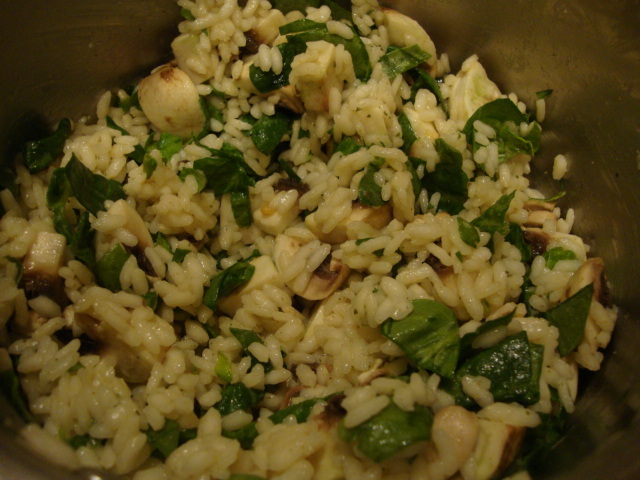 For the veggie mixture, once the mushrooms are tender, reduce the heat to low and stir in the basil. Combine the sauce and the veggies with the pasta and blend everything together. I threw together a dish with a light, creamy roux and some vegetables and it came out delicious---and fast too. Dinner was ready in less than 30 minutes. Keep in mind, you'll have three different pots/pans going at the same time, but don't be alarmed, it's easy to make, especially if you have all of your ingredients chopped, sliced, and ready to go before hand. Combine the sauce and the veggies with the pasta and blend everything together. Enjoy! Barb at That Was Vegan? 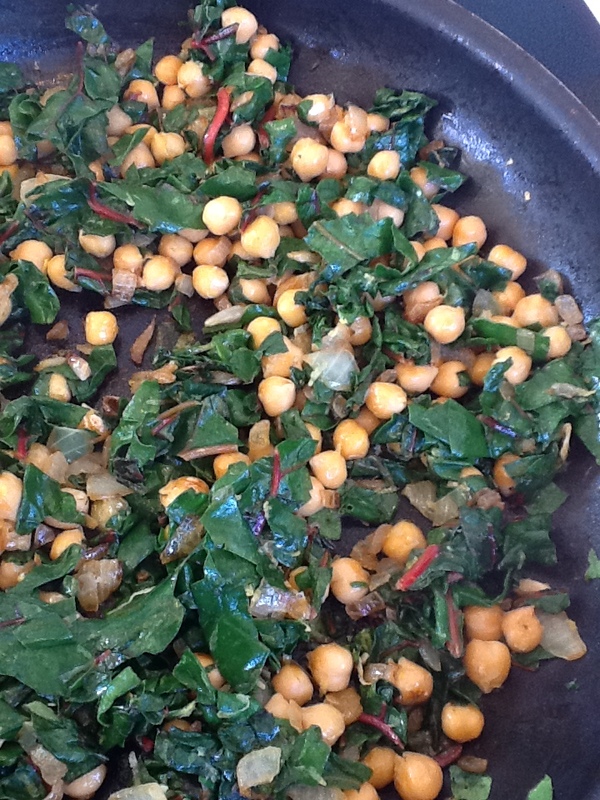 posted this recipe, but used Israeli couscous and kale. YUM! I didn’t have any couscous and of course, I had eaten all the kale, but . . . I really wanted to make this dish. I added some mushrooms, too and it was delicious! 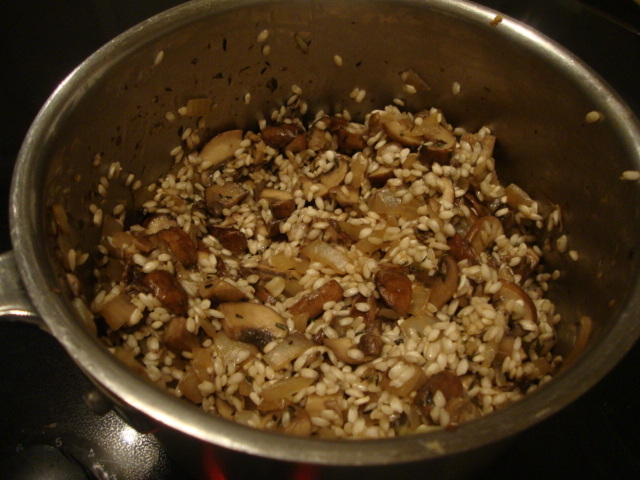 You could also use wild rice or barley—just keep in mind they both take up to an hour to cook. Otherwise, this is quick and satisfying meal. Preheat oven to 350. Spray a baking sheet with cooking spray, or drizzle with olive oil. Add the potatoes. I sprinkled on some salt and pepper, too. Bake 15-20 minutes until they start to brown—but be sure to turn once. While the potatoes bake, bring the water and bouillon cube to a boil, then add the rice. Reduce heat to low, cover, and cook 10-15 minutes. Stir in the mushrooms, spinach, salt, pepper, cumin, and lemon juice. Cover until the veggies soften and wilt. 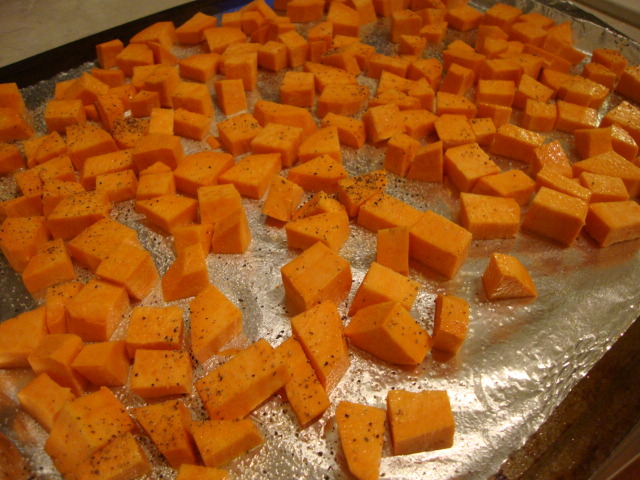 Stir in the sweet potatoes and enjoy! Barb at That Was Vegan? 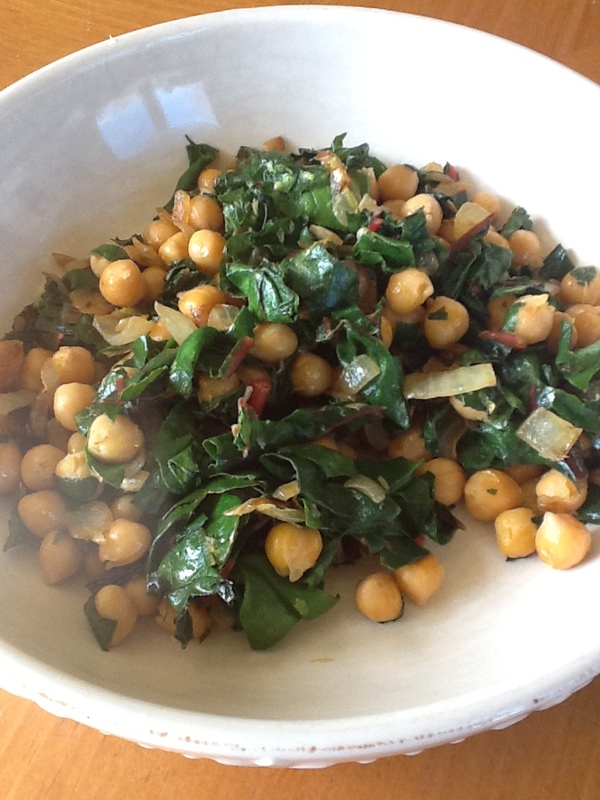 posted this recipe, but used Israeli couscous and kale. YUM! I didn't have any couscous and of course, I had eaten all the kale, but . . . I really wanted to make this dish. 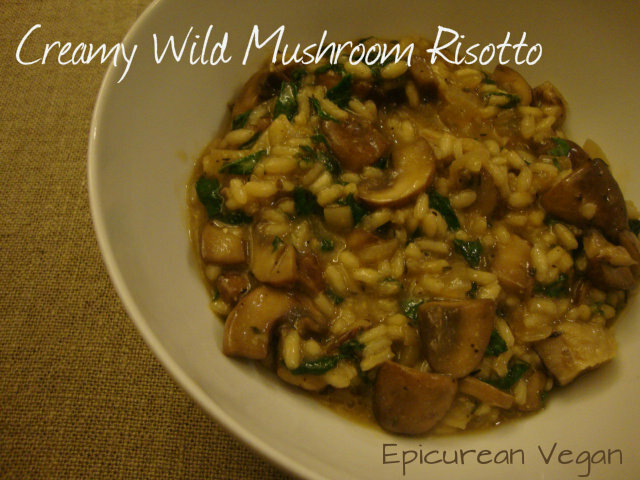 I added some mushrooms, too and it was delicious! You could also use wild rice or barley---just keep in mind they both take up to an hour to cook. Otherwise, this is quick and satisfying meal. Bake 15-20 minutes until they start to brown---but be sure to turn once. While the potatoes bake, bring the water and bouillon cube to a boil, then add the rice. Reduce heat to low, cover, and cook 10-15 minutes. Stir in the mushrooms, spinach, salt, pepper, cumin, and lemon juice. Cover until the veggies soften and wilt. Heat the olive oil in a large skillet. Add the onion and cook until tender. 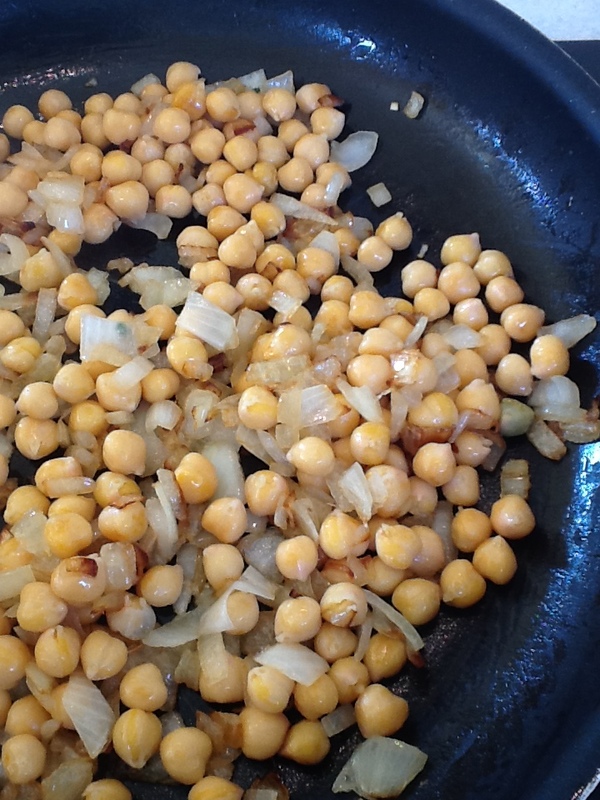 Add the chickpeas and cook 10 minutes, or until the beans begin to brown. Stir in the chard and cook until it begins to wilt and cook down, about 5-7 minutes. Zest the lemon over the pan, then cut the lemon in half and squeeze the juice from one half over the mixture. (Watch out for seeds). Stir well to combine. Add salt, pepper, and more lemon, if desired. (If you go with my suggestions, you can use the leftover lemon—if there is any— in the hummus). Serve immediately, or at room temperature. Enjoy! Stir in the chard and cook until it begins to wilt and cook down, about 5-7 minutes. Zest the lemon over the pan, then cut the lemon in half and squeeze the juice from one half over the mixture. (Watch out for seeds). Stir well to combine. Add salt, pepper, and more lemon, if desired. (If you go with my suggestions, you can use the leftover lemon---if there is any--- in the hummus). Serve immediately, or at room temperature. Enjoy! These cookies are pretty darn easy to make, soft, and aren’t overly sweet—my kind of cookie. If you have a bigger sweet tooth, use honey (which isn’t vegan) instead of agave, or these would be ideal to sprinkle with powdered sugar. Preheat oven to 350. In a large bowl, cream together margarine and agave. Add the almond extract, lemon juice, lemon zest; combine well. 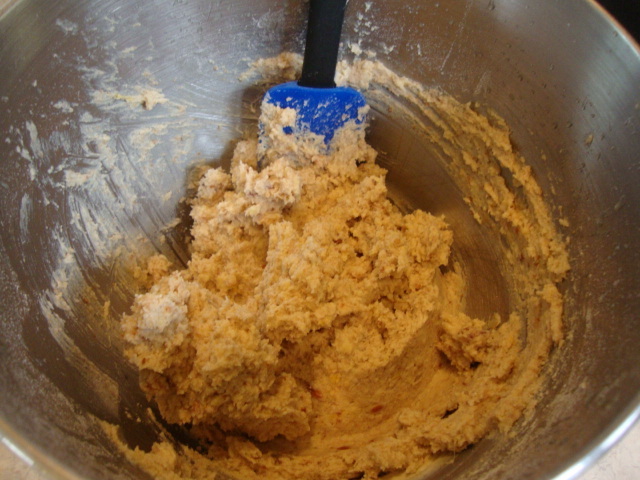 In another bowl, combine the ground and chopped walnuts with the flours and add to the margarine mixture. The batter will be sticky—it’s supposed to be, so don’t add any more flour. 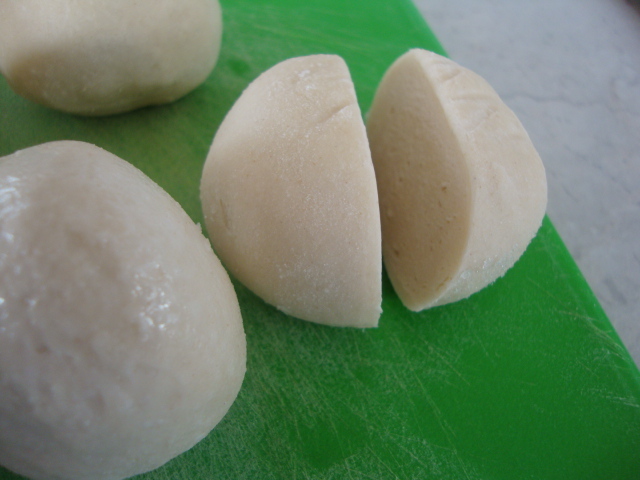 Roll dough into 1 to 1-1/2″ balls and place onto a lightly greased cookie sheet; press down slightly. 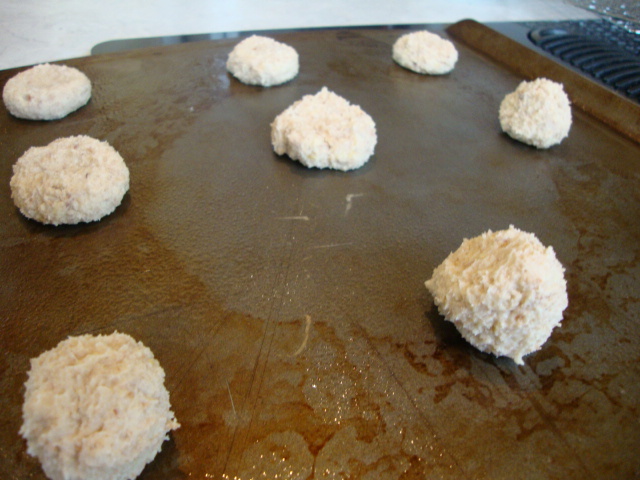 Bake for 12-14 minutes, or until the bottom edge of the cookies begin to turn a golden brown. 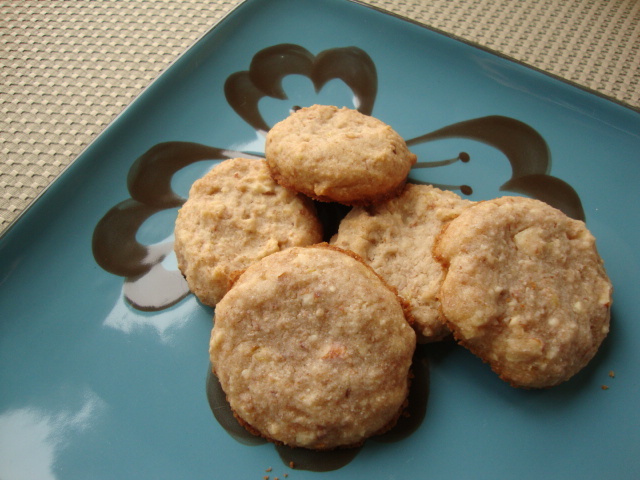 These cookies are pretty darn easy to make, soft, and aren't overly sweet---my kind of cookie. If you have a bigger sweet tooth, use honey (which isn't vegan) instead of agave, or these would be ideal to sprinkle with powdered sugar. Preheat oven to 350. 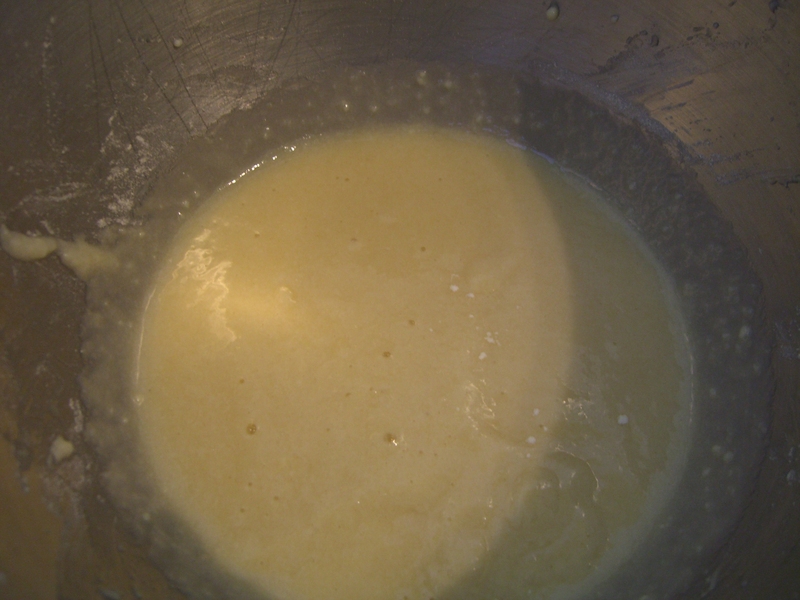 In a large bowl, cream together margarine and agave. Add the almond extract, lemon juice, lemon zest; combine well. In another bowl, combine the ground and chopped walnuts with the flours and add to the margarine mixture. The batter will be sticky---it's supposed to be, so don't add any more flour. 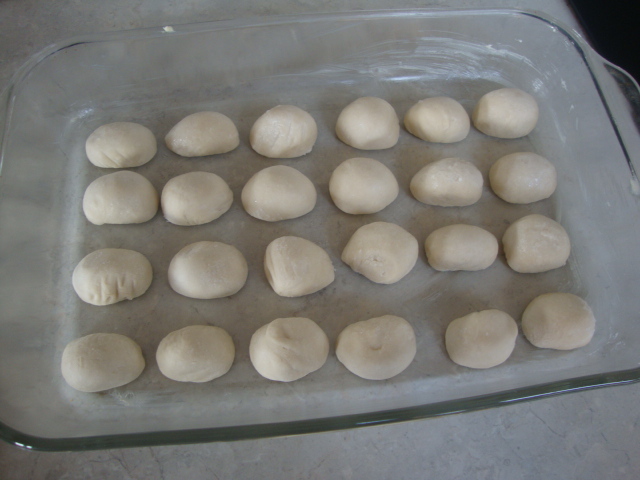 Roll dough into 1 to 1-1/2" balls and place onto a lightly greased cookie sheet; press down slightly. 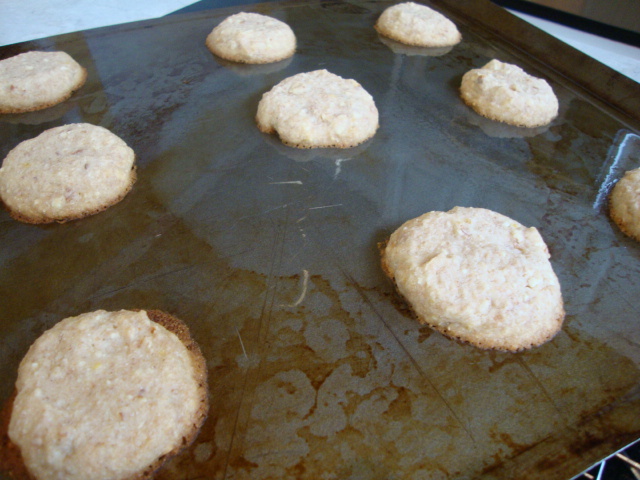 Bake for 12-14 minutes, or until the bottom edge of the cookies begin to turn a golden brown. Enjoy! These are perfect little, squatty, tasty, cute cupcakes. 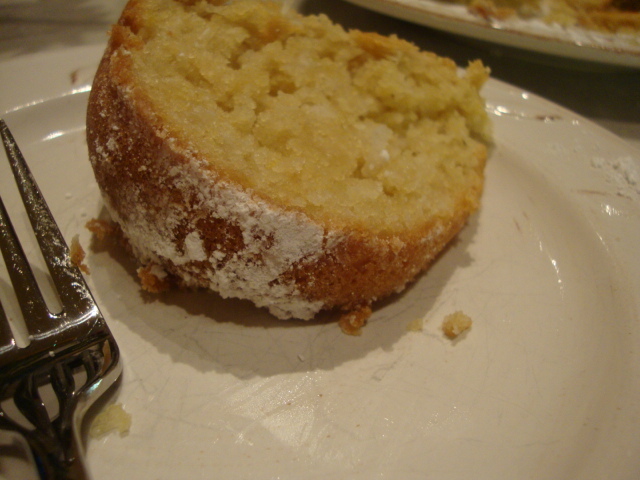 The outside is crispy, slightly sticky with lemon cake goodness on the inside. 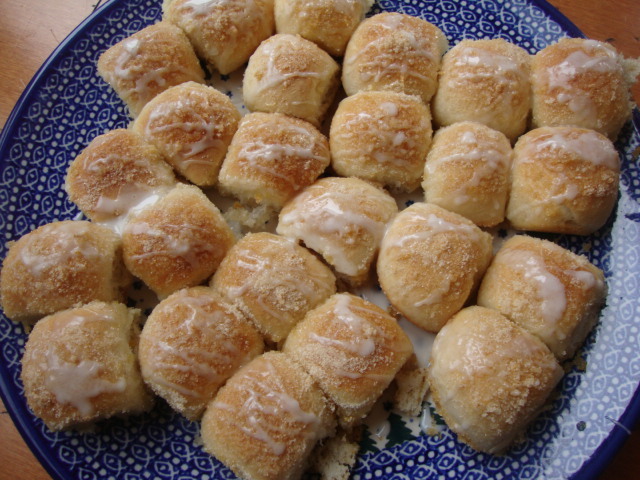 They are easy to make and once frosted, gone in seconds! Preheat oven to 325. 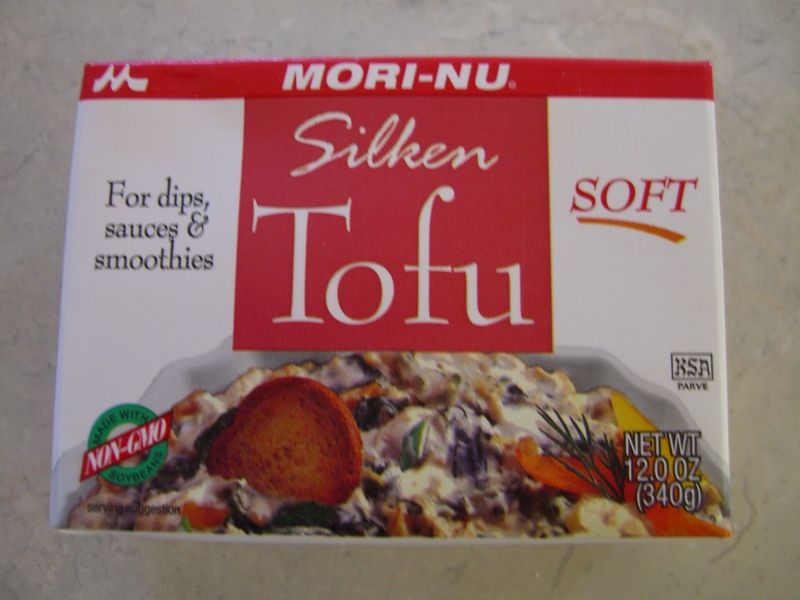 Using a mixer, mix the tofu until smooth. 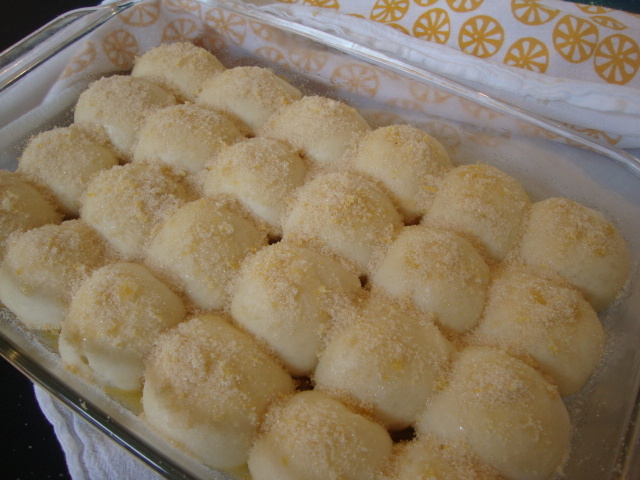 Add sugar, lemon juice, and lemon rind. Mix until thick, about 5 minutes. 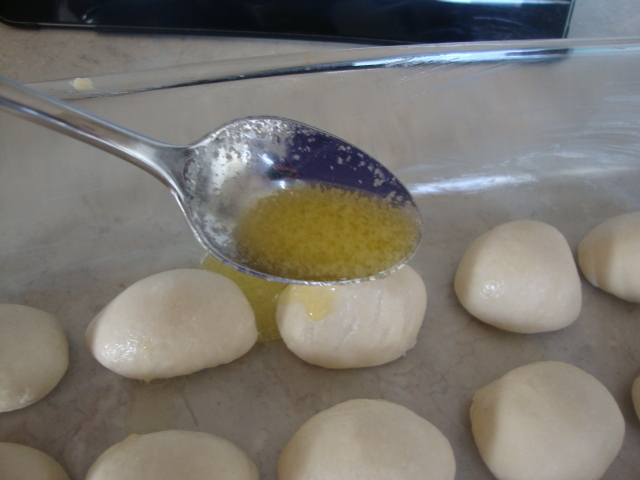 In a small bowl, combine flour and baking powder. Slowly add to the tofu mixture and mix until smooth and thick. In the medium bowl with the egg replacer and water, add the cream of tartar and mix for about 5 minutes until it is well combined and a little fluffy. Fold it into the tofu and flour mixture. 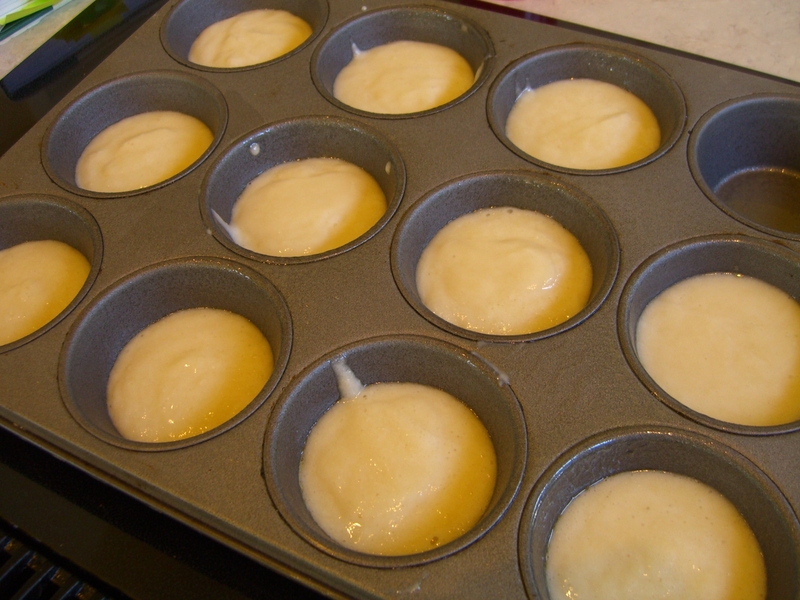 Grease a muffin tin and fill each one with a 1/4 cup of the mixture. I got 11 cupcakes. . .why not a dozen? I have no idea. Oh well. 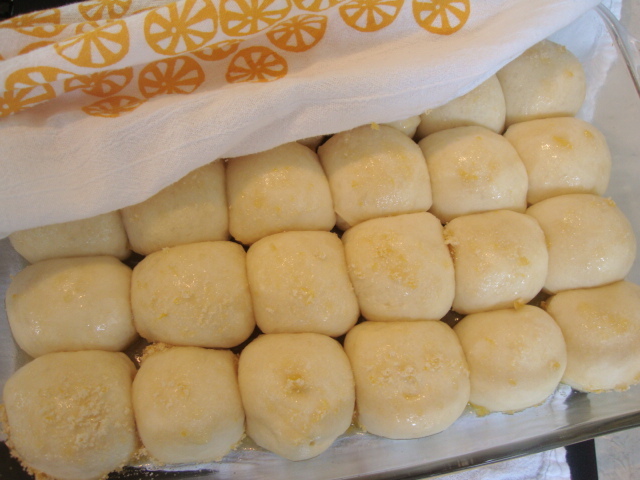 Bake for 35-40 minutes–the edges will get a little brown. Transfer to a wire rack and let cool before removing them from the pan and frosting them. 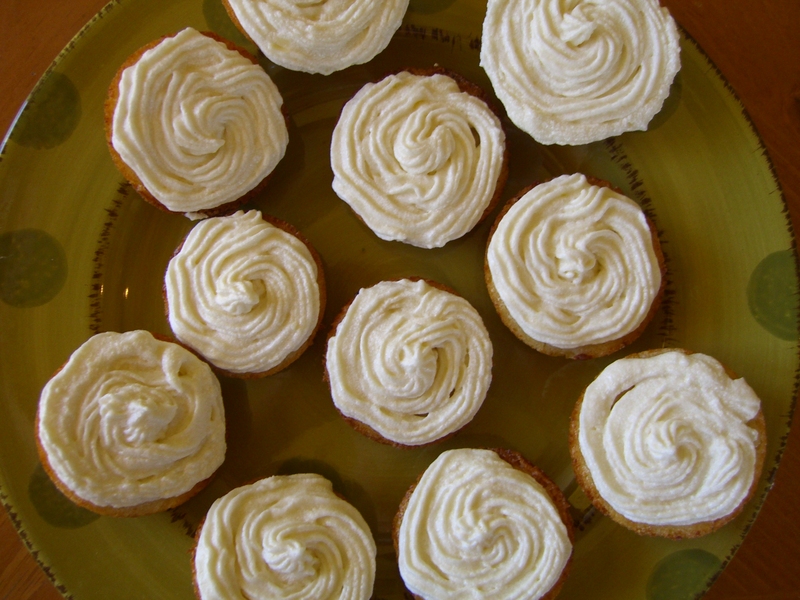 To make frosting: Let margarine sit out until room temperature. 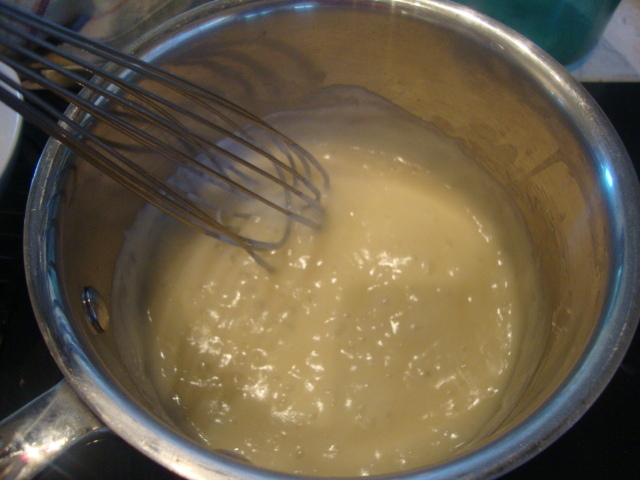 Using a mixer, mix the margarine until smooth. Add the powdered sugar, soy milk and flavoring. Combine thoroughly. You may need to adjust the consistency to how you’d like it by adding more milk or more sugar. Since all I could find was one lonely frosting tip and no pastry bag, I snipped off the corner of a zip lock back as a substitute. It worked lovely. Enjoy! This cake from Veganomicon, is incredibly easy to make, but most importantly, it’s moist and delicious! It’s a great dessert to throw together when you don’t have a lot of time on your hands, but need a dessert quick. Preheat oven to 350. Lightly grease an 8 or 10″ Bundt pan. (A 10″ pan works best. Some readers have noted that the cake overflows in an 8″ pan.) 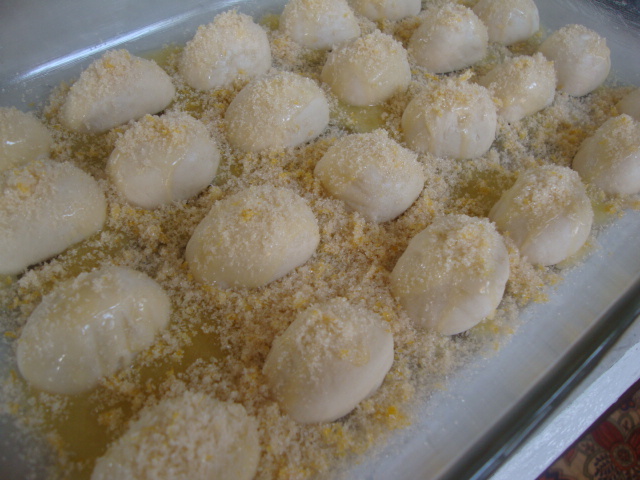 In a large mixing bowl, combine the granulated sugar, oil, coconut milk, soy milk, lemon juice, lemon zest, and vanilla. Stir to combine. Sift the flour, baking powder, baking soda, and salt into the wet ingredients in batches, mixing well after each addition. Stir to combine, then stir in the coconut. 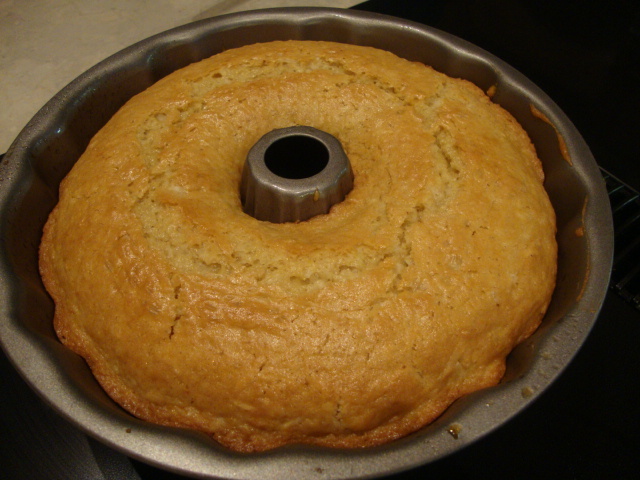 Pour batter into the Bundt pan, Bake 1 hour or until a knife inserted through the cake comes out clean. Remove from the oven and let cool for about 10 minutes, then place a cutting board over the cake pan, gently flip over and release the cake from the pan. Let cool completely. 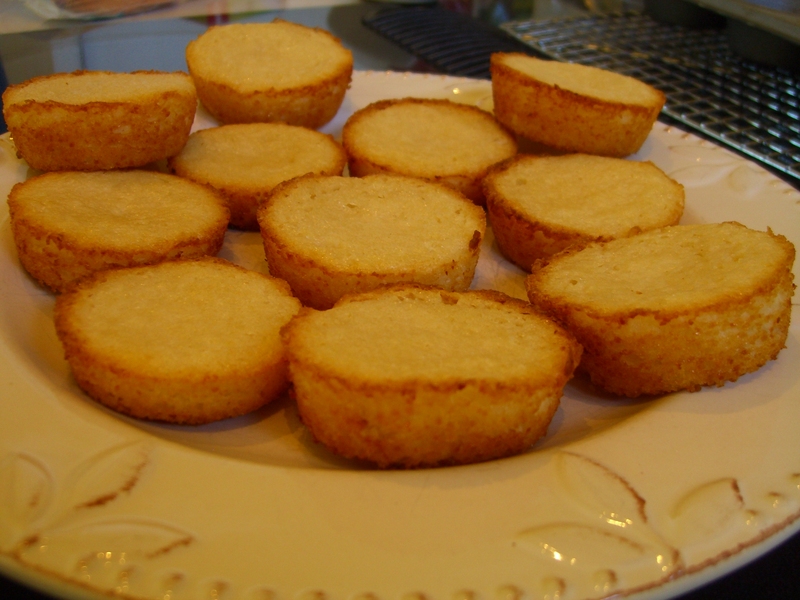 Once cooled, sift a sprinkling of the confectioners’ sugar over the tip. Slice, serve and enjoy!